The supreme motivating concept of the future is synergy: men and women of all nations coming together under leaders of great vision, who see that the pursuit of a common ideal, one world, one Earth, one people, is the reason for all existence. – D. E. Berghofer. …you will all one day melt into the Oneness. – Neale D. Walsch. We came to assert Oneness. With some trepidation I found myself attending this unique gathering. Granted, I had been studying global unity concepts for a number of years prior, but embedding oneself into a paradigm-shifting event is something different. Physically stepping into the operational environment of one world is not the same as academic book study, with its comfortable distance between the reader and the action. I was entering new territory. The opening ceremony, held in the Coliseum-styled promenade of Vancouver’s Public Library, grandly proclaimed our oneness through music and a parade of thematic banners. We are interconnected was the message; to the Earth, to the energy of the universe, to each other. The following day was about putting oneness into practice as we considered global citizenship and the role of education. Teams comprised of school children and teachers, university students, and community organizers brainstormed a better world. Urging us to “always think of the Earth” was the grandfatherly figure, Robert Muller, who as former United Nations Assistant Secretary-General had been a confidant to world leaders. A new world morality and world ethics… global management… [to] become again what we were always meant to be: universal, total beings… [a] vast synthesis… to make each human being proud to be a member of a transformed species. To consider oneself part of a grand synthesis, a transformed species, may have seemed like a fringe idea to many Christians back in 1997. Such thinking, however, was firmly embedded in the soil of our culture. Of course, the seed of ideas come from somewhere, and we should have noticed the new flowers scattered across the social and spiritual landscape. Eleven years later, an Oprah event revealed the intensity of the bloom. The public response to the 10-part webcast hosted by Oprah Winfrey and Eckhart Tolle, Oprah and Eckhart: A New Earth, was nothing short of astonishing. In the initial minutes of the first broadcast, Oprah announced that 139 nations were represented; people from around the world had joined the online seminar based on Tolle’s book, A New Earth. On the third week 11 million had logged in, and by the fall of 2009 the series had been accessed 35 million times. 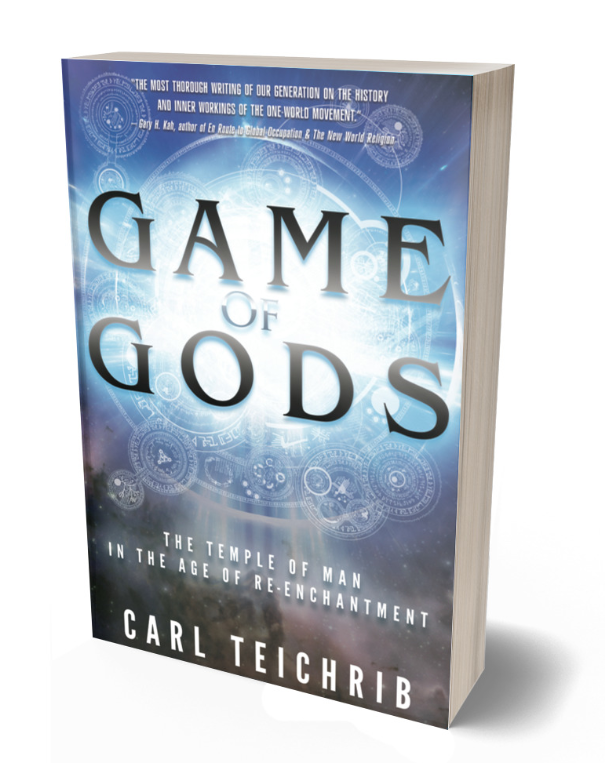 It has been called “one of the ten largest spiritual ‘gatherings’ in recorded history.” Book sales skyrocketed. But Tolle was doing more than selling merchandise. He was an evangelist, spreading the message of human potential through your personal awakening to non-separation. It was an enticing vision of oneness and transformation. Analyzing variants of the phenomena, performance entrepreneurs Steven Kotler and Jamie Wheal noticed that four qualities often manifest: the feelings of selflessness, timelessness, perceptional richness, and effortlessness. These four facets, the duo discovered, are primarily triggered by neurochemical responses to sensory stimulation, often resulting in a changed psychological frame of reference. The saying, “it’s all in your head,” has some merit. An array of activities can induce non-ordinary states: contemplative spiritual practices and postures, extreme sports or combat action, and in the taking of psychedelic substances. Communitas – the energy of community flow – can arise through the structured orchestration of group emotions, or when structure gives way to organic movement and freeing creativity. Both can invoke feelings of collective deep meaning; the “Utopia of We.” Sensory overload and overwhelming awe can induce sensations of unity and wholeness; this can be encountered in the pulsing energy of a rave, or in the visual grandeur of a panoramic sunset. Virtual reality with its disembodying properties has the ability to stimulate non-ordinary states. Manipulated sexual activity is another route. The dopamine spike from a favorable check of your social media is but a miniscule reflection of the feel. The quest to “get out of our skin” is big business. In calculating the financial side of the “Altered States Economy,” broadly interpreted and categorized under “drugs, therapy, media and recreation,” Kotler and Wheal estimated that $4 trillion annually goes to the “Church of the Ecstatic.” We are willing to pay handsomely for temporary bliss, often incurring costs that go far beyond the monetary. However, we are far more than just biology and chemical reactions. We are creatures of flesh and spirit. We are also creatures of emotion and logic, incapable of living on either alone. Belief, creativity, compassion, sacrifice, and forgiveness – these are attributes and values that point to something other than pure, materialistic existence. The question, “what is consciousness?” remains a question. We are integrated beings: mind, body, and soul. Outer and inner merges, boundaries liquefy, and the universal becomes sacred: Grof is portraying a spirituality based on the blurring of distinctions. This is more than selling a feeling: Grof and Rohr and Tolle are pointing to a cosmological paradigm, a claim on reality. Beliefs and values change in correspondence to the paradigm, and we cross the bridge into the realm of worldview. “Oneness” thus becomes capitalized as a central concept – a core principle – shaping philosophy and ideology, religion, and culture. The feeling is now secondary to the worldview. Is there a danger in taking a concept like Oneness and engaging in a type of general reductionism? Absolutely. To claim that it alone provides the total substance of a complex ideology, religion, movement or idea would be inaccurate. A better perspective would be to see it as a foundation upon which complex structures are built. Like most foundations, it remains assumed and seldom considered after the edifice is finished. But the planners and architects; they remember and refer to it. How important is this foundation? Upon it are claims of divinity, the meaning of being human, and future salvation. We must feel part of all space and time, of the greatness and wonders of the universe… We must stand in awe before the beauty and miracle of creation. Perhaps this will be the new spiritual ideology which will bind the human race. We must lift again our spirits and hearts into the infinite bliss and mystery of the universe… We are too heavy, too earthbound. We must elevate ourselves again as light, cosmic beings in deep communion with the universe and eternity. We must re-establish the unity of our planet and of our beings with the universe and divinity. Desmond E. Berghofer, The Visioneers: A Courage Story about Belief in the Future (Creating Learning International Press, 1992), p.289. Neal Donald Walsch, Communion With God (Berkley Books, 2000), p.165. “Visioneering” was the word used by Desmond Berghofer, an organizer of the Global Citizenship 2000 Youth Congress. Visioneering is the task of dreaming potential futures. Garry Davis was the founder of the World Service Authority, which issues “world citizen” passports. Applicants have to sign an Affirmation: “As a World Citizen, I affirm my planetary civic commitment to WORLD GOVERNMENT, founded on three universal principles of One Absolute Value, One World, and One Humanity…” (capitals in original). The quote comes from Robert Muller’s poem, “Decide to be a Global Citizen,” reprinted inside the Global Citizenship 2000 Youth Congress Passport. Muller was the United Nations Director of Budget and UN Assistant Secretary-General. Upon retirement he became Chancellor of the UN University of Peace in Costa Rica. In 1989 his World Core Curriculum earned him the UNESCO Peace Education Prize. A copy of the World Core Curriculum is on file with the author. Ether Walker, “Eckhart Tolle: This man could change your life,” Independent, Friday, 20 June 2008, online edition [www.independent.co.uk/news/people/profiles/eckhart-tolle- this-man-could-change-your-life-850872.html]. Ken MacQueen, “Eckhart Tolle vs. God,” Maclean’s, October 22, 2009, online edition [www.macleans.ca/culture/eckhart-tolle-vs-god]. Steven Kotler and Jamie Wheal, Stealing Fire: How Silicon Valley, the Navy SEALs, and Maverick Scientists Are Revolutionizing the Way We Live and Work (Dey St., 2017), p.75. Eckhart Tolle, A New Earth: Awakening to Your Life’s Purpose (Plume, 2006), p.309. Eckhart Tolle, The Power of Now: A Guide to Spiritual Enlightenment (Hodder Australia, 2004), p.12, italics in original. For “sublime kairos,” see Tom Wolf, The Electric Kool-Aid Acid Test (Picador, 1968/2008), p.231, italics in original. Rudolf Otto was an early user of the word; see his book, The Idea of the Holy: An Inquiry into the Non-Rational Factor in the Idea of the Divine, and its Relation to the Rational (Oxford University Press, 1923). Carl W. Ernst, Sufism: An Introduction to the Mystical Tradition of Islam (Shambhala Publications, 2011), pp.114-119. James W. Jesso, Soundscapes and Psychedelics: Exploring Electronic Mind Expansion (SoulsLantern Publishing, 2014), p.41. Kotler and Wheal, Stealing Fire, 37-46. Ibid., p.31. See also note 28, running from pages 238-243. In 1962, twenty Protestant seminary students took part in the Good Friday Experiment. Ten of the volunteer subjects were given psilocybin, and the other ten were administered a placebo. The purpose: to see if mystical states could be reproduced in a controlled setting. Walter Pahnke, a graduate of Harvard Divinity School – with Timothy Leary acting as academic advisor – conducted the experiment at Boston University’s Marsh Chapel. The findings ignited a controversy over “authentic” spirituality versus chemical imitation or “instant” mysticism. See Rick Doblin, “Pahnke’s ‘Good Friday Experiment’: A Long-Term Follow-up and Methodological Critique,” The Journal of Transpersonal Psychology, 1991, Vol. 23, No. 1, pp.2-28. See also, Martin A. Lee and Bruce Shlain, Acid Dream: The Complete Social History of LSD: The CIA, The Sixties, and Beyond (Grove Press, 1992), pp.76-77, and Kotler and Wheal, Stealing Fire, 58-59. Stanislav Grof, Psychology of the Future: Lessons from Modern Consciousness Research (State University of New York Press, 2000), p.210. Richard Rohr and Mike Morrell, The Divine Dance: The Trinity and Your Transformation (Whitaker House, 2016), p.111, italics in original. Note: This book sells an alternative spirituality, another version of Oneness. Robert Muller – raised Roman Catholic – was spiritually influenced as an adult by the quiet Buddhism of UN Secretary-General, U Thant, and the writings of Catholic mystic, Pierre Teilhard de Chardin. For more on the role of Chardin’s ideas and Thant’s influence on Muller, see Robert Muller, New Genesis: Shaping a Global Spirituality (World Happiness and Cooperation, 1989, originally published in 1982), pp.159-171. Robert Muller, New Genesis: Shaping a Global Spirituality (World Happiness and Cooperation, 1989, originally published in 1992), p.37.